According to multiple sources, a man was killed in San Diego’s City Heights neighborhood on Tuesday when he was hit by a driver after apparently falling off his bike. The victim, identified only as a 66-year old man, was riding against traffic in the left lane of northbound Fairmont Ave, between Home Street and Federal Boulevard, when he somehow tumbled from his mountain bike around 6:45 pm. A 61-year old woman ran over his sprawled body after thinking he was just a shadow in the street, and was unable to stop in time when she realized her error. She stayed at the scene and cooperated with investigators, despite initial reports that it was a hit-and-run. It’s unknown whether the victim lost control because he was under the influence, suffered from some kind of health condition or fell for some other reason. It’s also unclear why he was riding in the left lane, rather than in the bike lane. Other sources identify the area of the crash as the Ridgeview/Webster or Chollas Creek neighborhoods of San Diego. This is at least the eighth bicycling fatality in Southern California this year, and the first I’m aware of in San Diego County. A San Diego-area man has been killed while riding his bike, the third bicycling fatality in Southern California this week. According to the Union-Tribune, the 44-year old victim was struck by the driver of a pickup truck in Chula Vista around 10 pm last night. The paper reports the collision occurred at Second Avenue and Palomar Street, where witnesses say the victim, who has not been publicly identified, went through the red light on southbound Second. However, San Diego’s NBC-7 says he was traveling east on Palomar, which would mean the driver was on Second. He suffered severe head and injuries, and died after being taken to a local hospital. The 22-year old driver stayed at the scene; police don’t believe drugs or alcohol use was a factor. A street view shows a four lane road with left turn bays on Palomar, and a two lane street on Second. Palomar has a 35 mph speed limit, while residential Second should have a 25 mph limit. The severity of the victim’s injuries, despite wearing a helmet, would suggest that the driver may have been traveling faster than that. 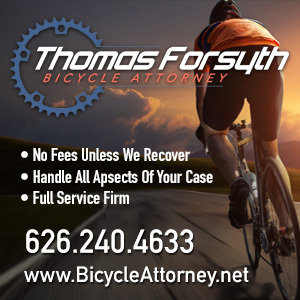 This is at least the 36th bicycling fatality in Southern California this year, and the 7th that I’m aware of in San Diego County. It comes after a bicyclist was killed in LA’s San Fernando Valley on Monday, and another was the victim of a fatal hit-and-run in Torrance yesterday. A man has been killed riding a road bike in an unincorporated area east of San Diego. 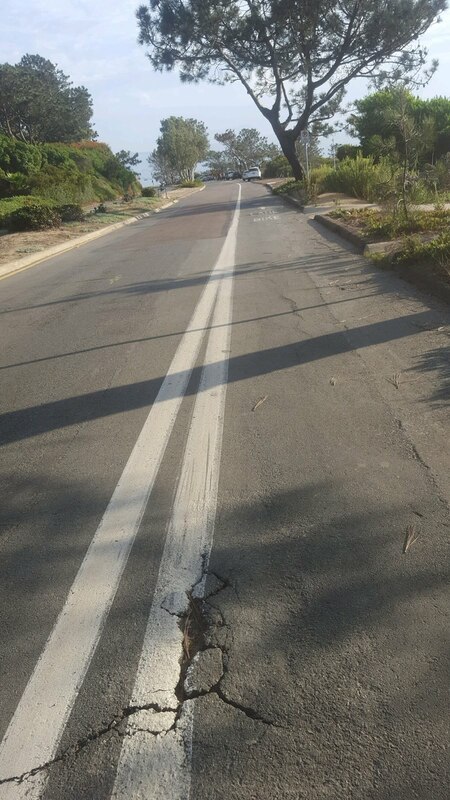 According to the Union-Tribune, the victim was riding south in the bike lane on Avocado Blvd just above Nabal Drive in the Casa del Oro neighborhood of San Diego County around 8 am. He reportedly swerved into the traffic lane, and was struck by a car driven by a 63-year old woman. The man, who has not been publicly identified, was taken to a regional trauma center, where he died from his injuries. The only identifying information given is the make of his bike, a Masi Gran Corsa road bike. As always, the question is whether there were any witnesses other than the driver. It’s possible that he may have swerved out of the bike lane to avoid an obstruction, or moved left to turn onto Nabal Drive without checking for traffic. However, it’s also possible that the driver may have been speeding, or drifted into the bike lane and only assumed the he swerved in front her. The lack of physical evidence in bike crashes can make it difficult, if not impossible, to identify the exact point of impact. Crashes like that are so common they are often referred to sarcastically as an SWSS, or Single Witness Suicide Swerves. 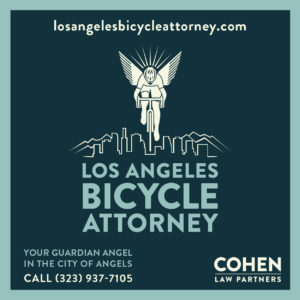 This is at least the 29th bicycling fatality in Southern California this year, and the 6th that I’m aware of in San Diego County. Update: The victim has been identified as 61-year old La Mesa resident Daniel Lusteg. And yes, he was wearing a helmet. In this case, it was not enough to help. Meanwhile, Frank Lehnerz forwards a Google image showing what might have made Lusteg swerve. What hasn’t been mentioned is that if he swerved around this or any other object, it would suggest that the driver didn’t give a three-foot passing distance as required by law. Otherwise, anything less than a swerve into the left turn lane shouldn’t have been enough to cause a collision. My deepest sympathy and prayers for Daniel Lusteg and his loved ones. Thanks to Jeff Kucharski, Charles Schenck and Frank Lehnerz for the heads-up. 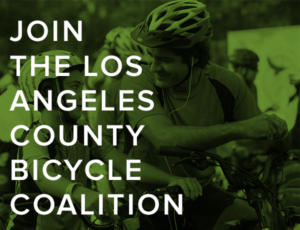 It looks like LA’s recent epidemic of bicycling deaths has moved south. According to the San Diego Union-Tribune, a man on a road bike was killed when a driver drifted off the road, and lost control on the soft shoulder of a highway just outside El Cajon. The crash occurred around 3:15 pm on Olde Highway 80 west of Flinn Crest Street. The 67-year old driver reportedly sideswiped the victim, identified only as a 58-year old Alpine resident, before continuing to strike a bus stop sign, mailbox and a parked pickup truck. The victim was taken to San Diego’s Sharp Memorial Hospital, where he was pronounced dead. Video from the scene posted by San Diego’s KGTV-10 shows a badly mangled bike, and the driver’s minivan with the front end smashed in. This is at least the 19th bicycling fatality in Southern California this year, and the third in San Diego County. Update: The victim has been identified as 58-year old Brian Jennings, a professor of comparative politics and U.S. Government at Grossmont College. Police believe the driver of the minivan fell asleep before drifting off the road and slamming into Jennings. Update 2: I originally said the victim was riding a mountain bike, based on the initial reports; however, the video above clearly shows a road bike. Thanks to BV for the correction. My deepest sympathy and prayers for Brian Jennings and his loved ones. Sad news from the San Diego area, where a woman has died following a left-cross collision in Imperial Beach. According to the Times of San Diego, 60-year old Kathleen Ann Cua was pronounced brain dead a day after she was hit by a left-turning driver. And yes, she was wearing a helmet. The crash occurred around 5:15 Saturday evening at the intersection of Palm Ave and 4th Street in Imperial Beach. The Union-Tribune reports she was one of three people riding east in the bike lane on Palm, when she was struck by the driver of a car, crashing into the windshield. She was taken to UCSD Medical Center in Hillcrest, where she died. The driver remained at the scene, and police do not suspect he was under the influence. However, he told investigators that he did not see Cua until she hit his windshield — which should be seen as a confession, rather than an excuse. He also told the U-T he didn’t think Cua saw him before the impact, an odd statement considering his claim that didn’t even know she was there. Evidently, he was somehow able to read her mind at the moment of impact. Or maybe he just saw a look of surprise as he slammed into her. This is the eighth bicycling fatality in Southern California this year, and the second in San Diego County. My deepest sympathy and prayers for Kathleen Ann Cua and all her loved ones. A homeless man lost his life Tuesday night in what appears to be a tragic case of deja vu. According to Fox-5 San Diego, the victim, identified only as a homeless man in his 50s, was struck by a car at 6:15 pm Tuesday in San Diego’s Mission Valley. He was reportedly trying to ride his bike across the 8800 block of Friars Road near Rio Bonita Way when he was hit by the driver of the car, who claimed he could not see the darkly clad rider until it was too late. The San Diego Union-Tribune reports he suffered a number of open fractures, and died after being transported to a hospital. A street view shows a busy six lane roadway, with bike lanes of widely varying widths. Police reported he was crossing Friars Road “outside of a crosswalk.” However, there doesn’t appear to be a crosswalk, or any other safe crossings, anywhere in the vicinity. This comes a little over two years after another homeless man, 65-year old Matthew Driggers, was killed walking his bike across Friars in almost exactly the same location. Which suggests that something has to be done to provide a safe way to cross a badly designed and inherently dangerous street. And more has to be done to protect the most vulnerable and invisible members of society. This is the fifth bicycling fatality in Southern California this year, and first in San Diego. Sad news from San Diego, where a Los Angeles County Sheriff’s Deputy died nearly two weeks after falling in a century ride. Brian Villa, a 29-year veteran of the department, fell while riding in the Orange County Wheelmen’s Amtrak Century on September 9th. He suffered a severe head injury, and was taken to a local hospital in grave condition; he was taken off life support and passed away on the 21st. The crash apparently occurred somewhere between Solano Beach and Torrey Pines in San Diego County. 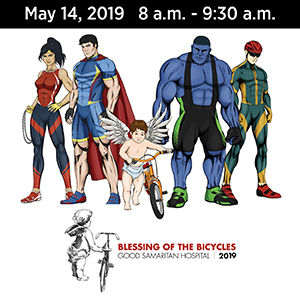 Villa was training for the annual Police Unity Tour. He leaves behind a wife and two teenage children. 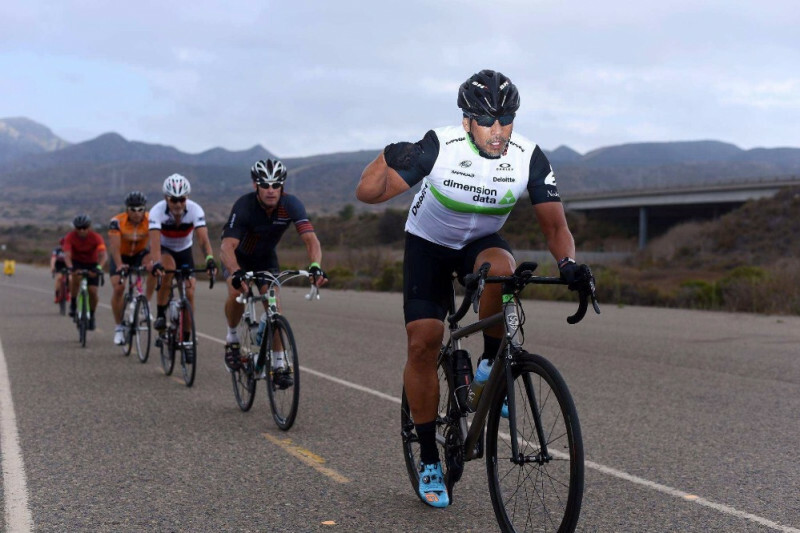 A ride will be held in Irvine on October 28th to raise funds for his family, while a GoFundMe page has raised over $25,000, $10,000 more than the $15,000 goal. This is the 46th bicycling fatality in Southern California, and the fourth in San Diego County. Six of those have been the result of solo falls. Update: I’m told Villa was 56 years old, and may have been a resident of Orange County. He had participated in the Unity Tour in 2015. A source places the location at 200 Camino Del Mar in Del Mar. The photo of the site below showing a deep pothole suggests why he may have crashed. My deepest sympathy and prayers for the Brian Villa and all his loved ones. Thanks to Bill Sellin, Ellen Steel and Greg “Sarge” Christopherson for the heads-up. Less than two hours after a man was killed riding his bike in Long Beach, another man was killed while riding on an Oceanside highway. According multiple, mostly identical reports, the victim was struck from behind while he was riding west on State Route 76 east of Melrose Drive around 11 am. Oceanside police were unable to revive him at the scene, and he died after being airlifted to an Escondido medical center. He has not been publicly identified at this time. The 25-year old driver reportedly veered into the bike lane where the victim was riding. He was arrested at the scene on an outstanding misdemeanor warrant, as well as driving with a suspended license. A satellite view shows three through lanes on westbound SR-71, with a double left turn lane, right turn lans and a bike lane. There’s no protection for the bike lane, which runs between the right through lane and the right turn lane, despite the apparent 55 mph speed limit. Anyone with information is urge to call OPD officer David Paul at 760/435-4431 or Sgt. Rick Davis at 760/435-4906. This is the 38th bicycling fatality in Southern California this year, and the third in San Diego County. It’s also the second in Oceanside this year. Update: The victim has been identified as 70-year old Wildomar resident Paul Cornish. Update 2: It was later discovered that the driver, Felix Ruizbazan, was driving a stolen car. Update 3: Twenty-six-year old Felix Ruiz Bazan pled guilty to gross vehicular manslaughter while intoxicated; in addition to driving a stolen car without a license, Bazan was high on meth at the time of the crash. He faces ten years behind bars when he’s sentenced. Meanwhile, Cornish once held the record for the fastest crossing of the US by bicycle, which eventually led to the creation of the Race Across America (RAAM). My deepest sympathy and prayers for Paul Cornish and his loved ones.